Every patient and family member, that comes in our hospital has a story to tell. Sometimes the stories are heartbreaking, sometimes routine, but in all of them, volunteers have the opportunity to make an impact, however small. By being there to talk, get a glass of water or a warm blanket, or help locate a relation, they can – and do – make a difference in people’s experience. 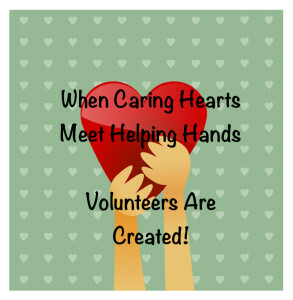 Each act of kindness from a volunteer is an act of kindness on behalf of the hospital – an act that patients and families will remember when they tell their stories.